Parents helping with homework shows the transformational educational experience that can be achieved when schools, students and parents do homework together. Homework as a point to point exercise between teacher and student can be an effective learning tool, but when triangulated with parental involvement it can become a transformational educational experience. All too often, however, for primary teachers, parents and students the debate around homework is about whether it should exist at all, and if so how much should be given. 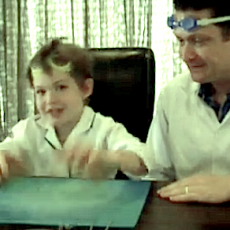 The initiative behind this video came out of our Science week at GIS. What started as a fun homework project to show everyone that learning is learning wherever it takes place ended up in an incredible demonstration that learning can be accelerated and made more memorable by giving it the context of learning with parents – the same way many of us learned to ride bikes, throw balls etc. This is just one of almost 400 videos that were entered by our students. Amazing. The child loves what he’s learning, because the parents are loving doing this innovative school directed homework with him. That is a win-win if you ask me.